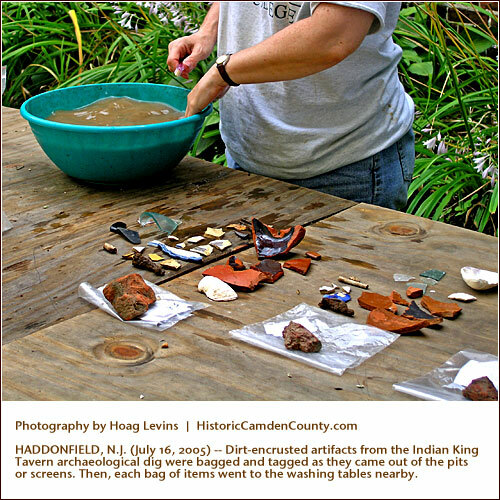 HADDONFIELD, N.J. -- Dirt-encrusted artifacts from the Indian King dig were bagged and tagged as they came out of the pits or screens. 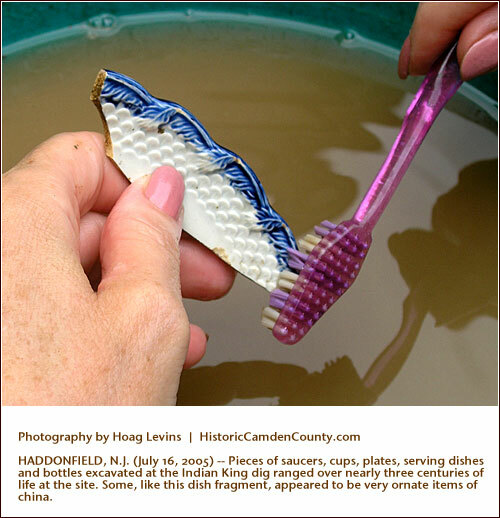 Then they went through the washing process, which began to reveal more of their detail. 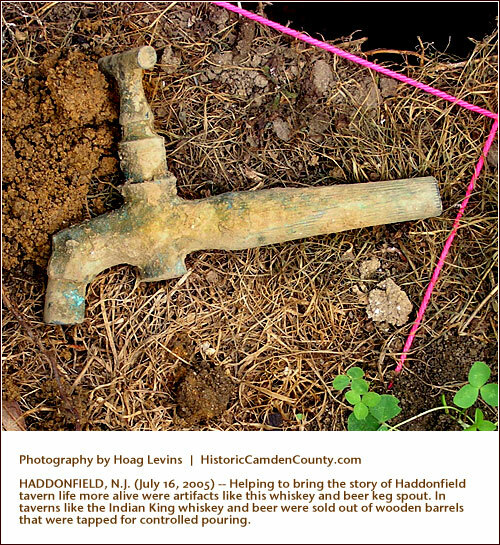 Above, right, the raw history of daily life at the Colonial tavern emerges. 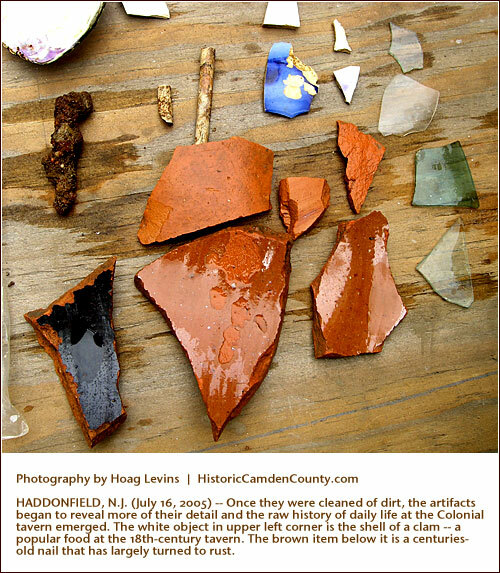 Pieces of saucers, cups, plates, serving dishes and bottles excavated at the dig ranged over nearly three centuries of life at the site. Some, like the above, left, dish fragment, appeared to be very ornate items of china. 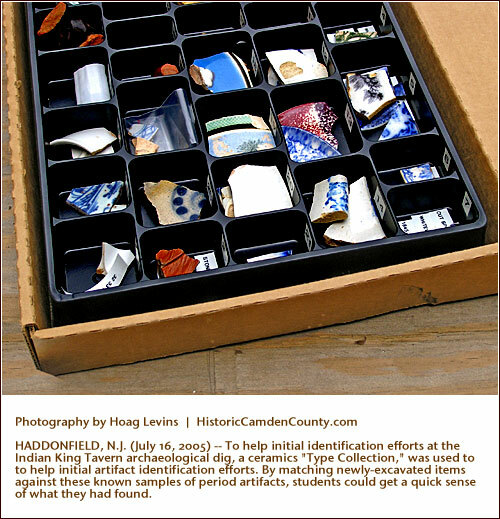 To help initial identification efforts, a ceramics "Type Collection," above, right, was used to find similar, known kinds of pottery and ceramics from the same eras. 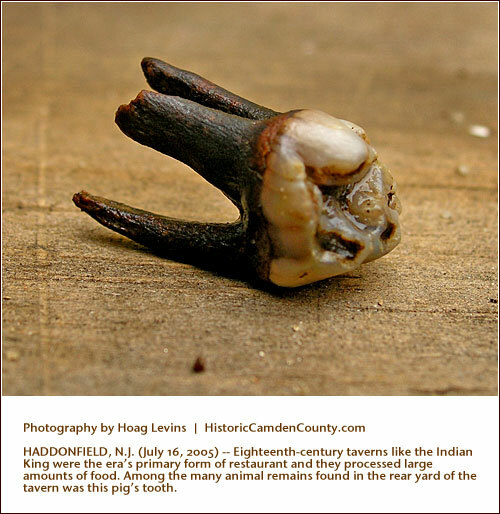 Since taverns -- the major form of restaurants of Colonial times -- processed large amounts of food, it was not surprising to find this pig tooth (above, left) in the excavations. 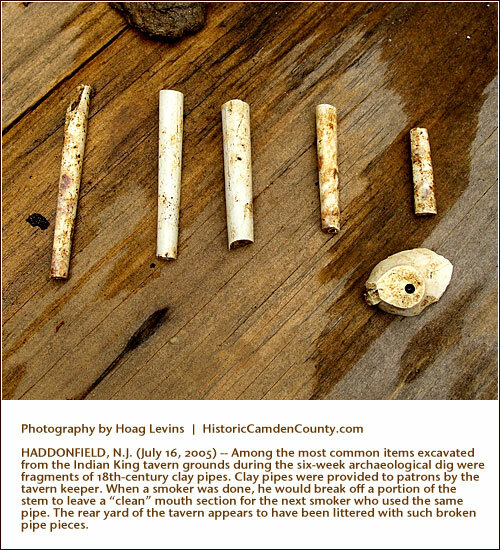 Among the most common articles taken from the pits were clay pipe fragments. 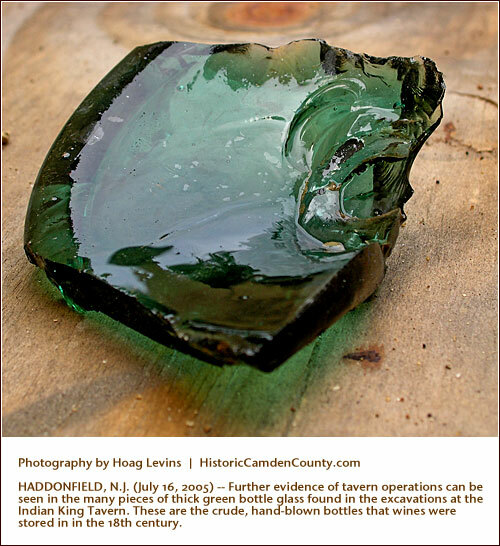 Many fragments were of similar length because patrons would smoke a tavern pipe and then break off the end portion in order to provide the next smoker with a "clean" mouth section.